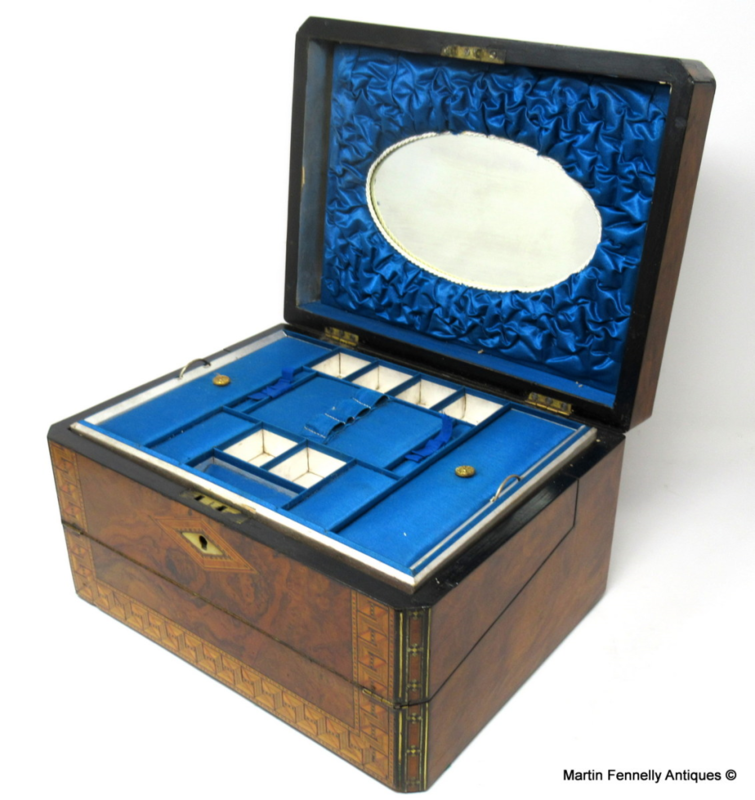 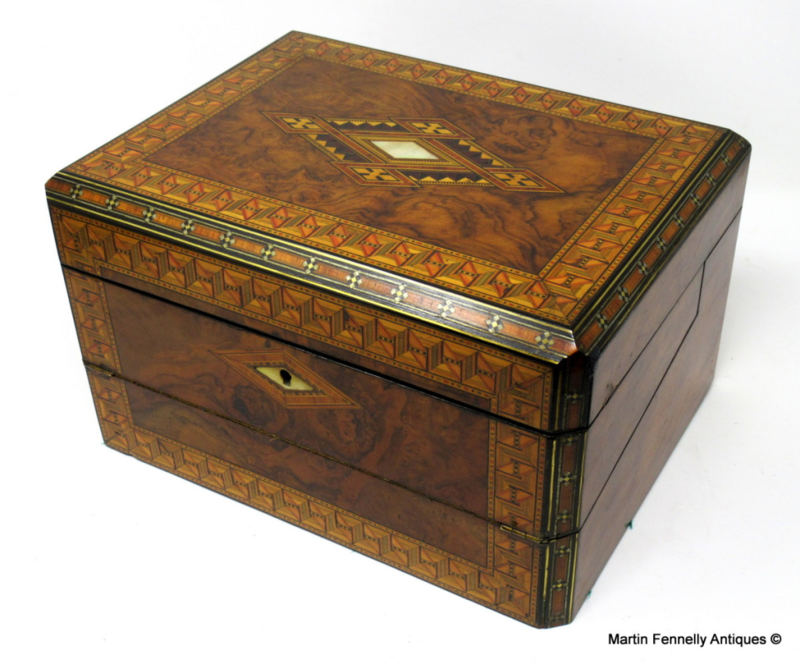 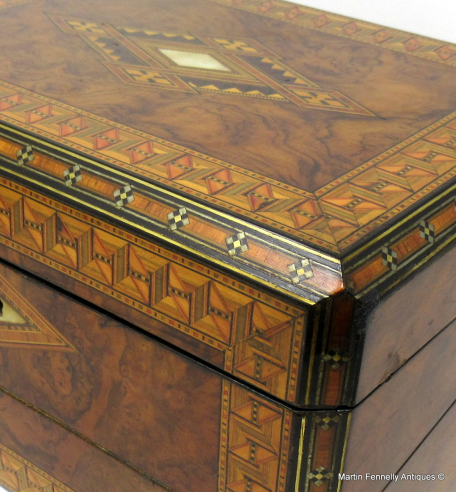 This English Tunbridge Ware Ladies Work Box and Writing Slope was made Circa 1860 and is a Masterclass in Construction and design. 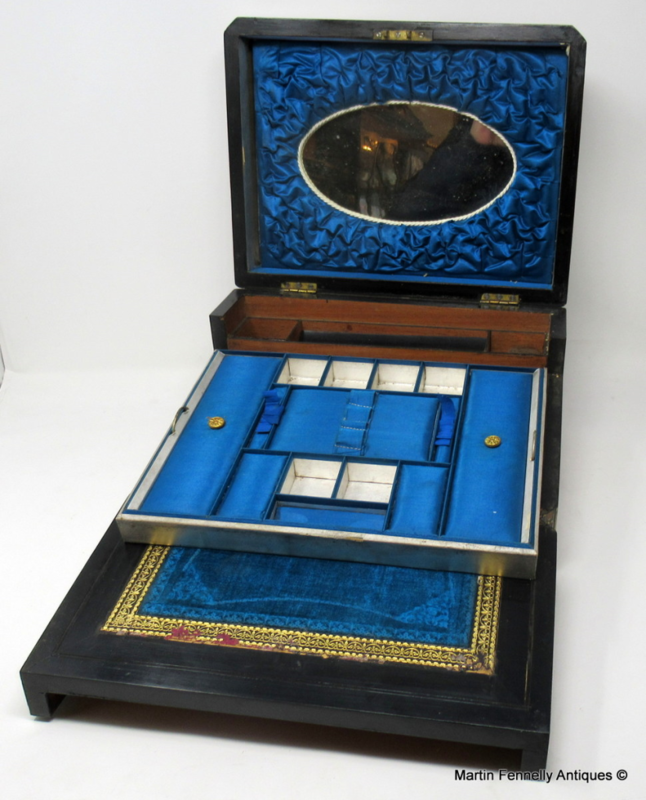 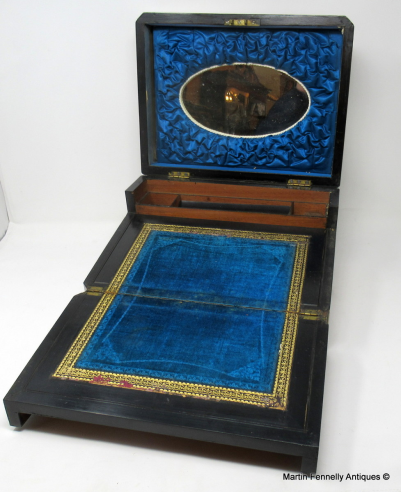 The Box was made for travel purposes and is to store a ladies Jewellery and Sewing pieces etc but could also convert to a mini writing desk when required. Lets Start with the Woods used in the Superb Creation - Walnut is the dominant wood with Ebony, Kingwood, Satinwood and Mother of Pearl. The Box has canted corners which are exquistely inlaid. The Top opens to reveal a fitted interior with sectioned storage area, this tray when removed allow the lower area to open and covert to a writing slope.